If you’re planning a trip to a fancy museum, you’ll want to leave your unwieldy selfie sticks at home. The Telegraph reports that many of the world’s largest museums have moved to ban hand-held smartphone extension wands, citing the possibility that the 3- to 5-foot metal rods could accidentally damage a priceless artifact. According to the report, guards at the Palace of Versailles in Paris have begun asking tourists not to use selfie sticks out of worry that they’ll damage mirrors, furnishings and displayed artwork. The Pompidou Center and Lourve art museums are both considering bans, as well. “Users must follow the rules and not point any objects at paintings, sculptures,” said a spokeswoman for the Louvre museum. 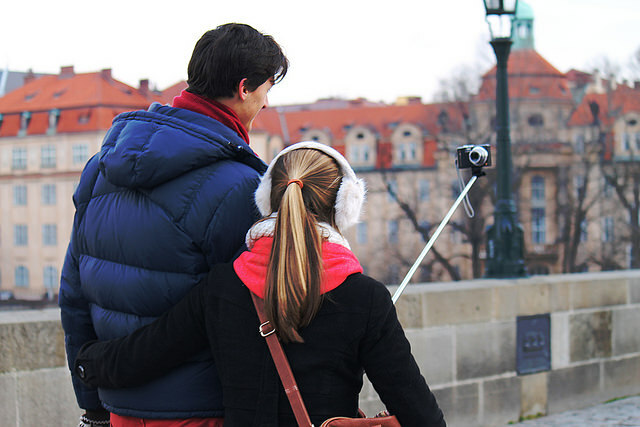 Here in the United States, most museums of note have already banned selfie sticks. Last week, The Smithsonian announced a no-selfie stick policy at its many museums and gardens in Washington, D.C. for “the safety of … visitors and collections.” The ban applies at African American History and Culture Museum, the African Art Museum, the Air and Space Museum, the American Art Museum, the American History Museum, the American Indian Museum, the Freer Gallery of Art, the Hirshhorn Museum and Sculpture Garden, the National Zoo, the Natural History Museum and the Portrait Gallery. Selfie sticks are also banned at the Boston Museum of Fine Art, New York’s Met and Museum of Modern Art, The Detroit Institute of Arts, the Getty Center in Los Angeles, the Museum of Contemporary Art in Chicago and Seattle’s Museum of Art. Many of these organizations ban monopod and tripod camera accessories too. The list of organizations that banned selfie sticks seems to grow by the day. If you’re dead set about bringing yours along to snap photos, you’ll want to call ahead to see if they’re allowed first. Still, given the number of museum patrons that have already been whacked in the head by inattentive selfie stick owners in close quarters, you should probably only use your camera extension accessories outdoors anyway. Previous Big Data: Are Small Businesses Doing Enough?